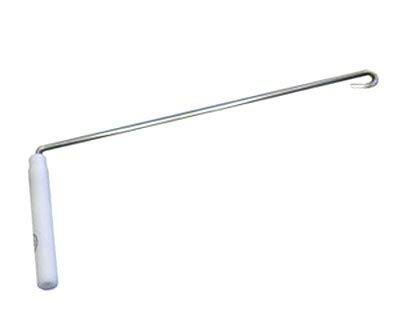 Keep your Jackite bird kite line from wrapping around your fiberglass flying pole with the Jackite Windsock Arm. Simply slide the white plastic sleeve over the tip of the Jackite Fiberglass Pole, connect our kite line to the loop at the end of the wire arm, and begin enjoying your windsock tangle-free. Turn any Jackite bird kite into an entertaining windsock with ease using the Jackite Windsock Arm.